January 6th is the feast of the Epiphany in the Christian tradition, celebrating the arrival of the three wise men to the child Jesus. 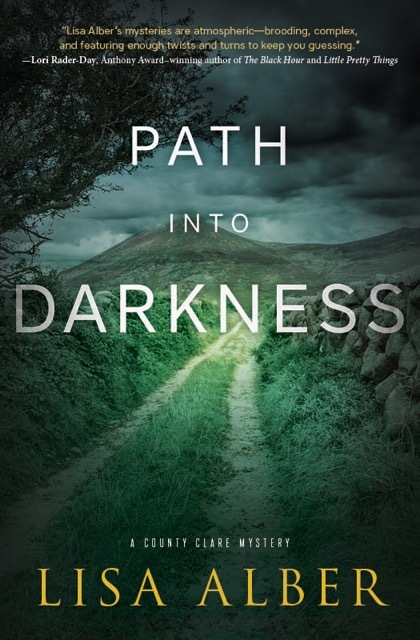 While it can mean the literal recognition of the Christ within, this story may also be understood in a symbolic way to help us to understand where inspiration comes from and how to tap into it. These Magi, or magicians, represent the conscious mind coming to the realization of the light or truth which the subconscious mind has given birth to after a long period of gestation-a personal epiphany. 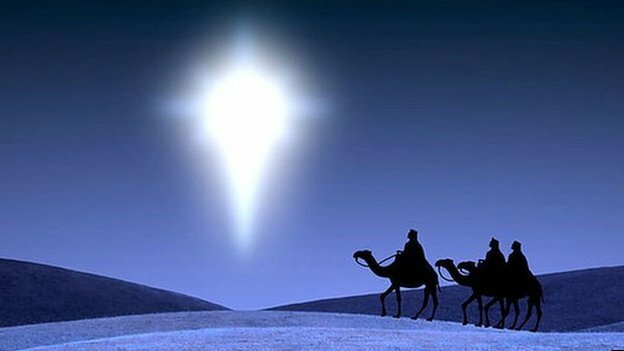 The Magi were visionaries, they believed and followed a star that had meaning only for them. Others may have seen the star, but only they knew where it would lead. If we accept this, then how can we undertake such a journey? Why would we want to go on such a perilous undertaking? What star would we follow? Wow! That hit me right in the gut. As writers and artists shouldn’t that be our highest quest? To be realists of a larger reality. To show truth, to inspire, to lead. If so, once our intellect, or conscious mind decides on the quest/question and sets the conditions, then the subconscious mind does its work, hidden in the deeps of the universal mind, where all truth awaits. Follow the star. 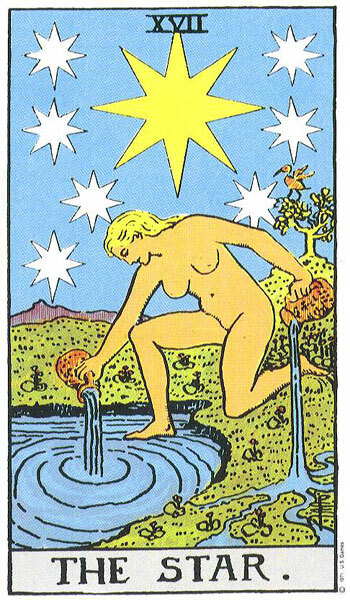 In the Star Tarot card, the two pots of water represent the two aspects of mind, the conscious and subconscious. The functions of the Star card are Meditation and Revelation; exactly what an Epiphany consists of. Epiphanies are experienced as a sudden realization or illumination of thought. They are often described as a “flash of genius”. 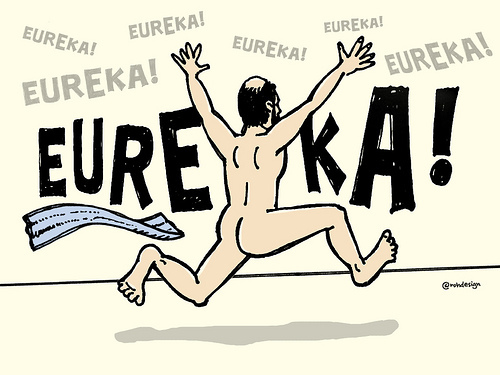 Archimedes illustrated this exactly when he jumped from his bath and ran naked from his house, exclaiming “Eureka! I have it!” after he discovered his groundbreaking method to determine the density of an object. Newtons theory of gravity is another example of an epiphany, triggered by his observation of a falling apple. You have probably felt that way a time or two when something fell into place. In both cases, these scientists had spent a lot of time contemplating, thinking and focusing on specific problems with their conscious mind. Meanwhile the subconscious, a beautiful fertile receptacle that allows and nurtures all seeds planted there, brought forth seemingly miraculous answers to the questions posed. These experiences are memorable to us and even seem supernatural, but they are the natural result of the creative process we put in place with our focus. Embrace the knowing that our subconscious will eventually and inevitably give birth to what we are seeking and focusing on, whether it is the resolution to our characters dilemma in our story, or startling perceptions about mankind’s current state. This is the star we must follow. 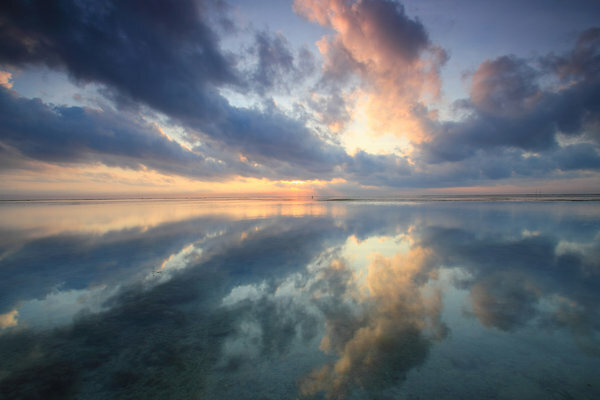 Whether it is a shared wisdom we tap into and from which our Epiphany springs, or from our own personal depths, the fact is that there is a deeper wisdom which will answer all of our questions if we put them out there and meditate, contemplate and stew in them long enough. What a powerful tool we have at our disposal! Wishing you many Epiphanies in this new year, in a world that is a better place to be-because of you and your work. Come along with me. Not to the safe place you’ve found. Not to the Laws of Physics. Not to the benevolent God who ensures every event in your life supports his divine plan. Not to the spiritual program that promises to work if you work it. Not to the place that is your own personal theory of everything. Step away with me to the shadowy places the safe houses block from the light. Places where the x-axis and y-axis are independent from each other at the same time everything is connected. Or the place where neither is true. Allow me to introduce you to a world of contradictions. 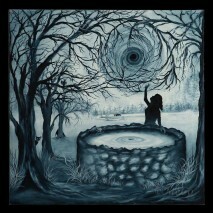 A place where the truths we depended on yesterday have fallen by the wayside, replaced by new truths, or simply chaos. Join me in the realm of story. There’s nothing to be afraid of. I’m only taking you places that are imaginary. Places that do not exist. Places you can enter into and exit from at your personal discretion. First, imagine you are a storyteller. What if one day you discover all the stories you’ve ever told and all the stories you will tell in the future are manifested in the physical world? How will that knowledge change how you feel about yourself as a person? Who have you harmed? Who have you helped? Would you search those people out? Would your storytelling come to an abrupt halt? Would you be afraid to utter another word because of the potential damage you might incur? Or would you go the other way? Would you attempt to undo the damage you’d inflicted? Would you refrain from the ripping of limbs in fight scenes? 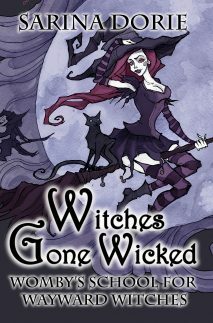 Would you never write another murder? Or even a peaceful death? Here’s another scenario: What if a young boy is one of the few humans of the next evolution of man? What if he has evolved beyond the understanding of his family and the entrenched culture of his community? What if he is seen as an aberration as opposed to a hope for the human species? Will he and those like him be aggressively reprogrammed to fit in? Will humans vanish from the universe as a result? 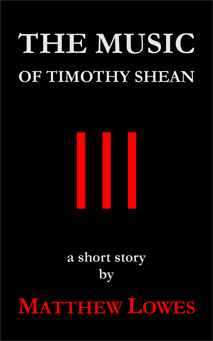 Will his innate drive to survive overcome his conditioning? Will he be forced to rebel against the people he loves in order to save them? On second thought, you should be afraid. These places I’m asking you to go challenge the very solidity of those safe structures we hold onto so dearly. In the first example above, I challenge the idea that what has worked in the past will work in the future. In the second, I challenge that generational departures from accepted behavior are aberrations. Be very afraid. You may become less trusting of the foundations you are standing on. On the other hand, your faith in them may be reinforced. You may become more confident in when to rely on them and when to search out more information. My hope is that by exploring the places where things fall apart with you we both will expand our safe places and shrink the shadows and remember that context is everything.